Change is difficult. In a world where the rate of change seems to be increasing exponentially, and interesting opposition arises within individuals. When we are facing so much change, we fight even harder to keep the status quo wherever possible. This, plus the natural law that systems fight to protect themselves, makes the life of a professional salesperson even tougher. While a lot of time is spent on the business and commerce aspects of sales, the reality is that if you’re a B2B salesperson, or a business in that space, you’re in the change business. Your job is to move beyond merely selling your products and services to managing the change that is necessary to achieve ones desired results. But, how can you systematically and predictably get people (and in many cases groups of people) to agree on the need to change and the change that is necessary. While it’s a difficult process, in truth it’s not that complex. 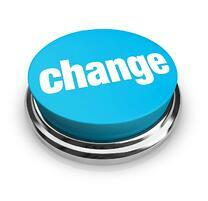 There’s a simple formula that will determine whether change will take place. When the dissatisfaction of a situation combines with the knowledge and awareness of what’s causing the problem and what’s possible is greater than the perceived risk then change will occur. The problem behind the problem your prospect/customer is aware of. The method to identify the cause of the problem. The consequence of not addressing the problem. The opportunities and alternatives to address problems and opportunities. How to assess various options and build a case behind one. You’ll notice that all of those issues are about your customer, and at best touch only slightly on you. It’s a tough thing to accept, but you do not matter much in the process. Your job is to guide and facilitate the discovery and understanding. Another overlooked area of focus is perceived risk. Far too often sales and marketing organizations try to downplay the risk involved in buying from them. I’ve lost count of the number of times I’ve asked a sales rep what’s the likelihood of failure, and their response is along the lines of, “What do you mean? This always works.” And don’t get me started on web site messaging. Look, everyone knows that everything doesn’t work all of the time. They also know if implementing your solution were so easy you’d already have 100% of the market. What’s dangerous is that the actions selling organizations take to hide their risk actually increases the perceived risk of the buyer. In the June 2006 issue of Harvard Business Review, the article Eager Sellers and Stony Buyers: Understanding the Psychology of New-Product Adoption highlights research that demonstrates that the typical seller overestimates the perceived benefit of a solution by 3x, while underestimating the buyers perceived risk of change by 3x. On the other side, buyers underestimate the benefits and overestimate the risk by a 3x factor. Addressing the difficulties and risk head-on, while also sharing the process for mitigating that risk is crucial to successfully shortening the sales cycle. The next time you enter an account, you begin a campaign, or prepare your proposal make sure you review the formula and turn it to your advantage.